My imaging set up is a Takahashi E-160 astrograph with Televue NP-101 for guidescope on an AP1200GTO mount. For visual work I use a Celestron CPC1100. 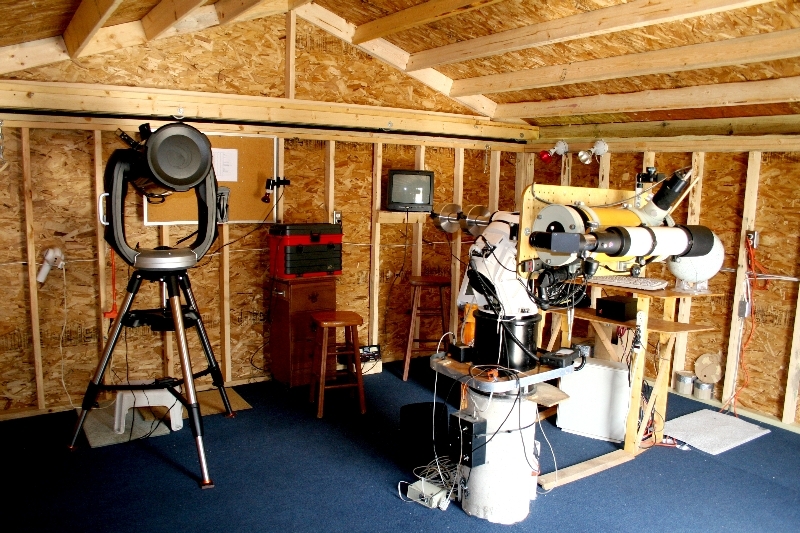 The TV set is used with visitors to display video views of planets through the eyepiece of the Celestron.